I often get asked where I purchase supplies, or where certain patterns come from, etc. So here is that information, all in once place! I’ll update it periodically. If there is anything else you have a question about, leave a comment and I’ll update this page. The Japanese stab binds on this site are my own creations. One day I’ll have a book published with them. One day. Volume I is a great book for those who are just starting out in the art of bookbinding. It covers quite a few different styles of binding and has a ton of other useful information. All of Smith’s books have dozens of patterns/tutorials that have both written instructions and diagrams. I based my style of tutorial off of his. I do have this one, but I confess that I didn’t love it. If you are really into Japanese art and design, then this book has a lot of different instructions for various projects. They just didn’t grab me. Each has a physical store, but I’ve only made it to Talas in Brooklyn, NY. Worth going and checking out, if you’re in the area. But be prepared to hunt for it…it’s on the second floor of a warehouse type building! I think Talas is generally a bit cheaper than Hollander’s, but the site is more difficult to navigate. You can also find a few bookbinding supplies at your local art store. Some of the more general items like awls, thread and needles can be found on Amazon, but what you find there is usually going to be cheaply made. Ok if you are starting out and aren’t sure you will continue, but not good for long term use. I’ve read dozens of books on type/type design/typography. These are some of the best. The last book is a great tool for teachers of typography. There are quite a few options for creating your own fonts. • Glyphs* – now the industry standard (FontLab is dead). It has a great forum if you have questions you can’t find answers to in the manual, and the developers are very quick to help you out if you have a weird problem or requirement. • FontForge – free. However, this is because it is open source – so it is constantly a work-in-progress and isn’t very intuitive. If you’ve never used any kind of font or design software, it might not bother you too much. But if you’re used to Adobe products like Illustrator or InDesign (as I am) it will drive you nuts. If you’re new to font design and you’d like to try it but not commit to software you have to install on your computer, and just want to get a feel for what it’s like to create a font, check out fontstruct.com. It’s free to sign up and start designing fonts using a modular system/grid. The fonts you create aren’t exclusively yours…anyone else can download them once they are published. But you can use them too! Thanks! I actually just use the free WordPress cms, with my own url attached. Hey there, I really like your Japanese stab bindings. 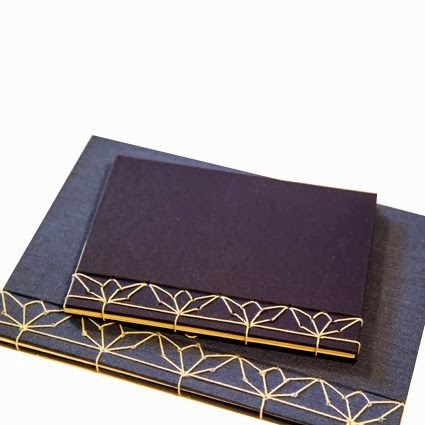 Would you mind if I used one to bind a portfolio that I’m submitting for a grad school application? Since it’s not technically for personal use I didn’t want to just use one of your designs without asking. That’s totally fine! I appreciate you asking. I’d love to see a picture of your final product, if you don’t mind emailing me one. Send it to bhirsbrunner (at) gmail (dot) com. Thanks! Do you mind if I pin a photo or two to Pinterest? I’ve seen all your Japanese stab bindings (I love them) but I’m working on a class project and I’m looking forward for this one( http://3.bp.blogspot.com/-RNXgfDXNzXg/UwNyX-6KUrI/AAAAAAAAM5I/c1g59ECI5gc/s1600/9b516dae381255e659f8b84d639b3c01.jpg ) so I could try it, but I couldn’t find the pattern anywhere. Do you know where can I find it or if you have done something similar? Thanks in advance! (And sorry for my English). If you really love the first design, try a couple of simpler patterns first, to get the hang of the technique. It shouldn’t be too hard to mimic the pattern you like after that. Good luck! Thank you so much, I’ll try it!